School has started. For the teachers anyway. I forgot how hard it is to wake up early! Wait. Let me rephrase that. Having a child changes your perspective on early. I forgot how hard it is to get up earlier than early! And after a couple of days of getting my classroom back in order, attending meetings, and choosing my beginning-of-the-year lessons, I needed to come home to some comfort food, to relax my brain. (It has been on summer vacation.) Every time I’m in the mood for some comfort food, I make this recipe. Sometimes I double it because it’s so good I want leftovers for a couple of days. Anyway, I am sorry I don’t have a dessert for you today. But this dish is so creamy and rich, I am sure you’ll feel like it’s dessert. While the pasta is cooking, melt the butter in a medium saucepan. Once the butter has melted, add in the flour and whisk until smooth. Continue whisking for 1 minute. Slowly add the milk and next 3 ingredients. Constantly whisk for 8-10 minutes, or until the mixture thickens and coats the back of a spoon. Remove from heat and add the cheese. Stir until cheese is fully mixed in. Drain the pasta and add it to the cheese mixture. Mix so the pasta is covered in the sauce. Serve immediately. What?! No Velveeta in your recipe! :) Hee hee! Yum! 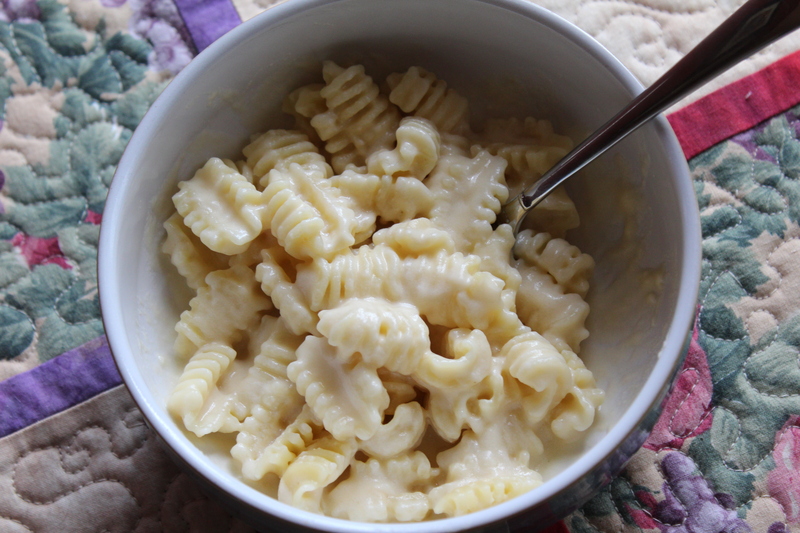 Followed recipe and used only mozzrella… perfectly creamy and No oven! Thanks.